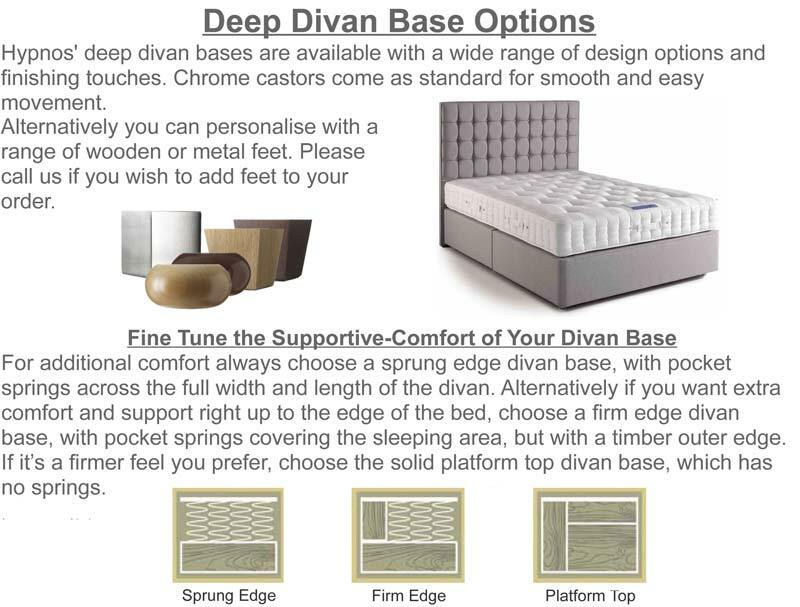 The Pillow Top Stellar divan bed is new and will replace the now discontinued Pillow Top Emerald. The Stellar mattress offers a reactive 8 turn spring system in the mattress which is equivalent to 1600 pocket springs. It has layers of Solotex fibre (200 grams), Polly Wood blend (400 grams) which has the 37.5 degree cooling technology, 33mm layer of natural Talalay latex and 600gram of poly/cotton blend filling which help give this mattress a medium feel and a touch firmer feel than the celestial. It also has a set of Adaptiv mini springs in the pillow pad to give the pillow pad more support, these mini springs sense and flex to your body’s shape. 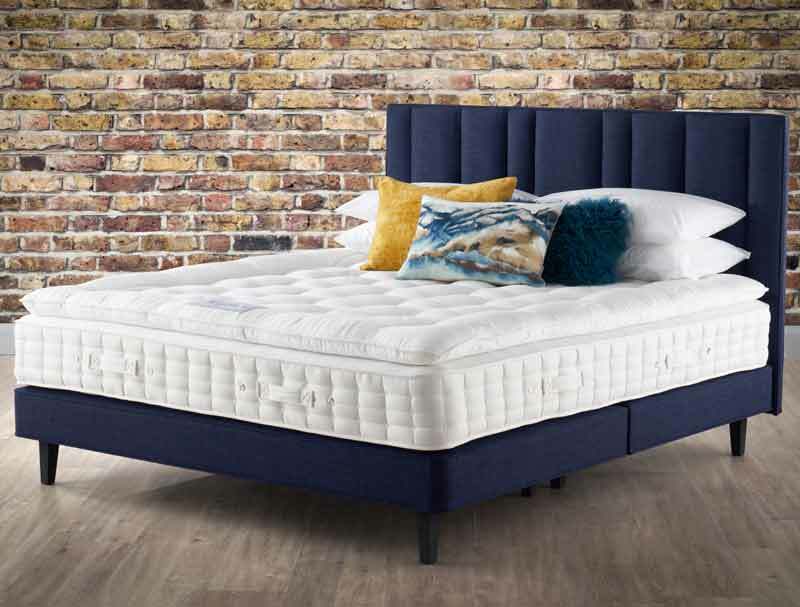 This luxury no turn mattress also boasts a soft fabric cover, it has been infused with a chemical free fabric that is made from a plant based treatment for added peace of mind, while still meeting all fire retardancy requirements. 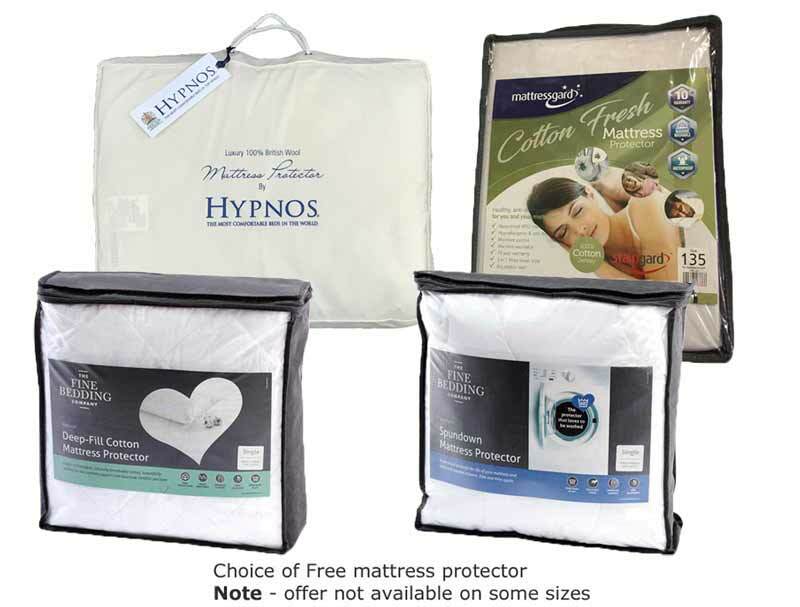 The top fabric cover also benefits from an Adaptiv cool fabric cover which is engineered to keep you body’s sleeping temperature at no more than 37.5 degrees. 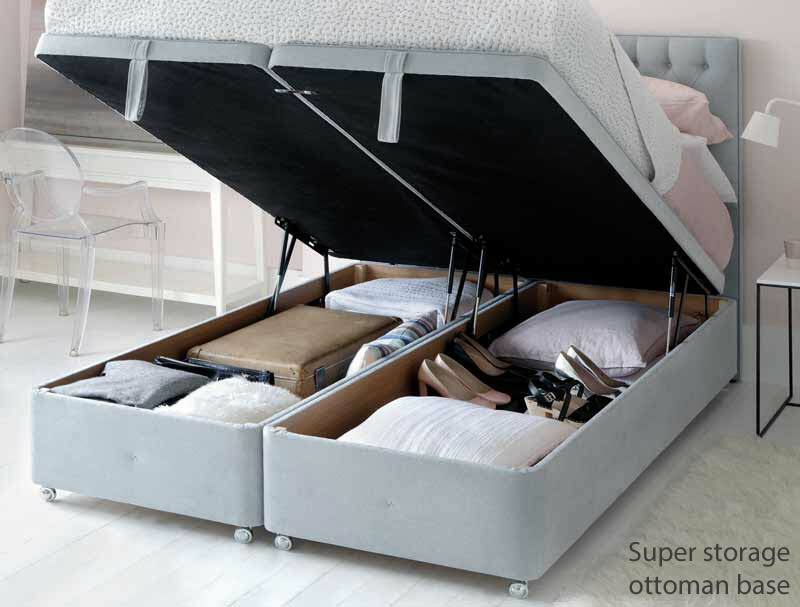 The mattress also benefits from 3 rows of hand side stitching along with flag stitched handles to help with rotating from head to toe this non turn mattress. 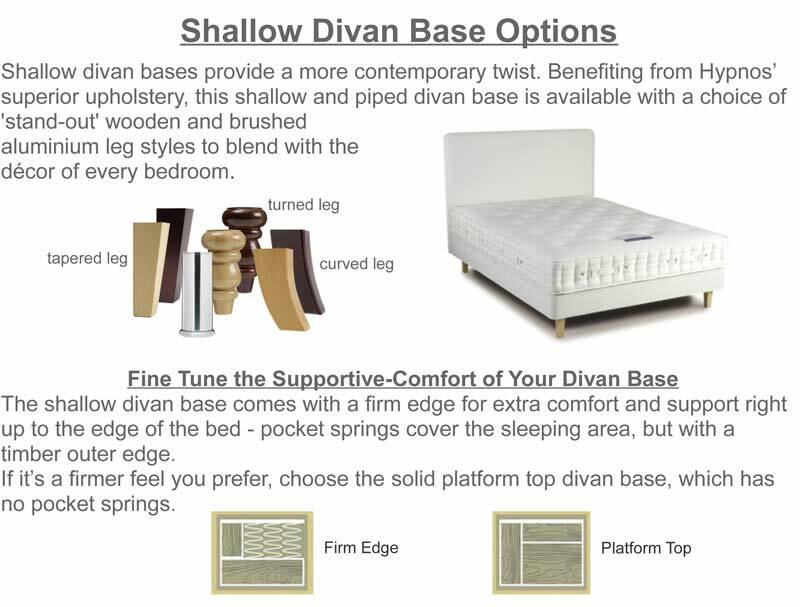 The mattress comes as standard on a platform top hard base (shown in the picture) or as a shallow base on legs. 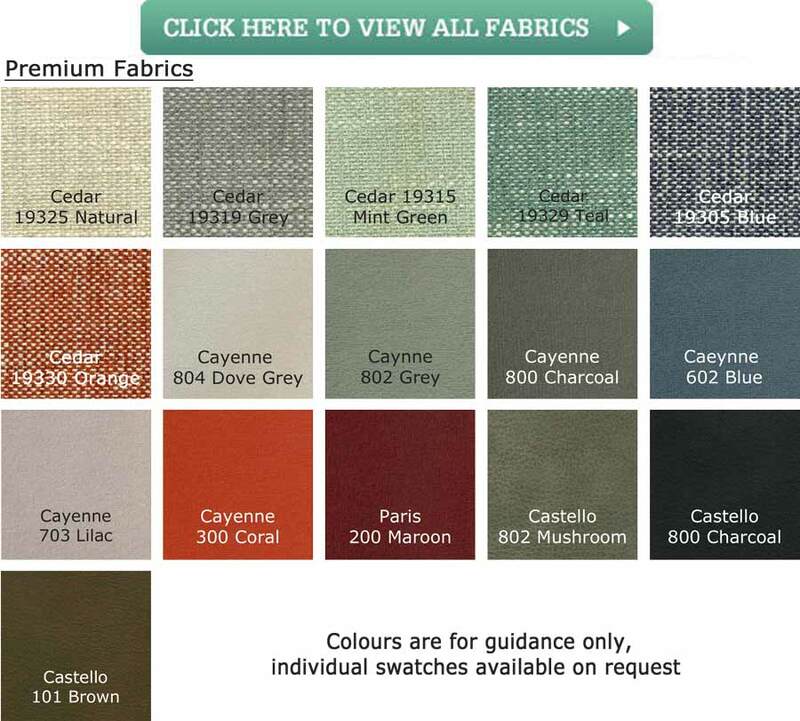 You can also upgrade to a firm edge coil or pocket deep base or a firm edge pocket base on legs. The shallow bases can be platform top for a firmer feel, or firm edge (firm at sides sprung in middle) design for a softer feel. 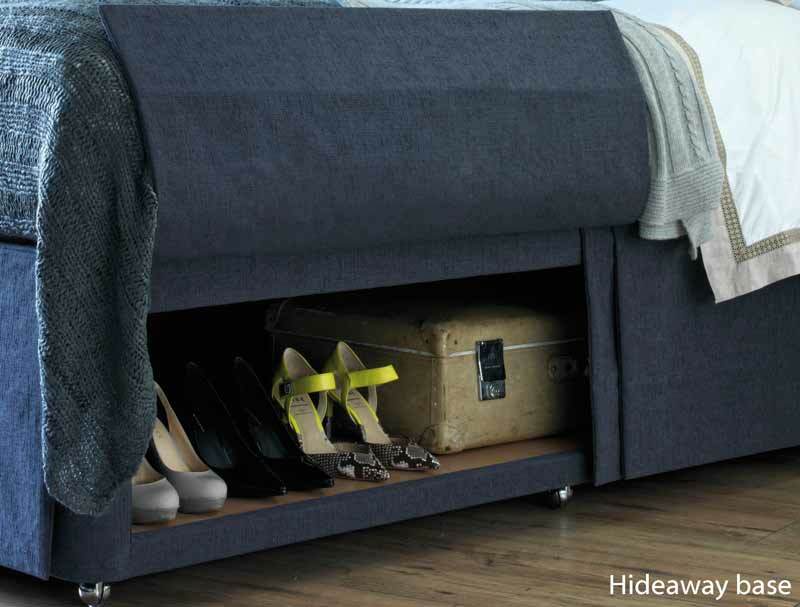 Drawers are an option with the deeper base with a choice of 2, 2+2 or 4 drawers. 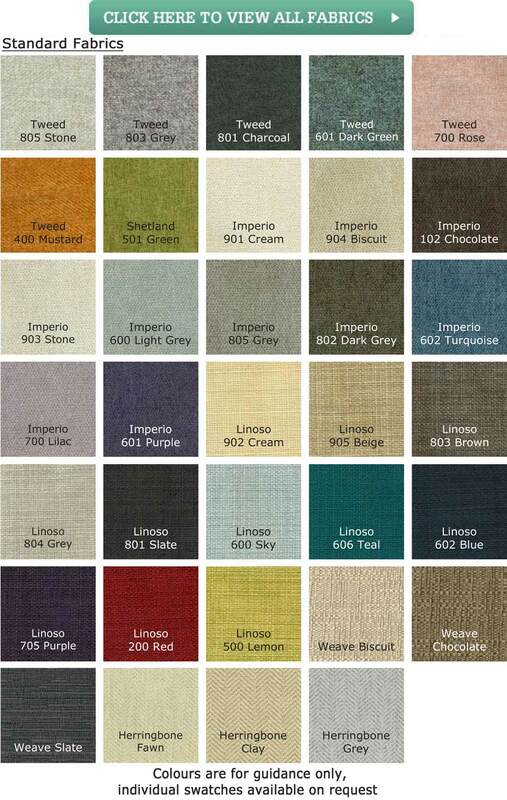 The headboard pictured is not included but is available and can be made in one of over 30 fabrics to match your base. 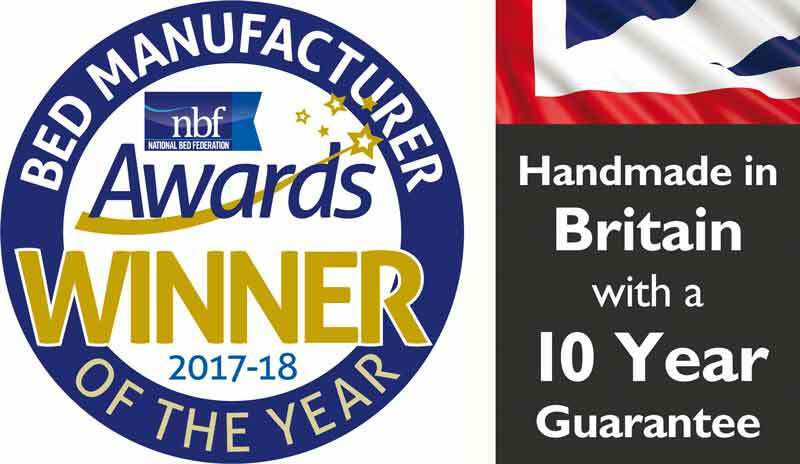 All Hypnos beds now come with a full 10 year guarantee and 100% of this bed is fully recyclable at the end of its life.